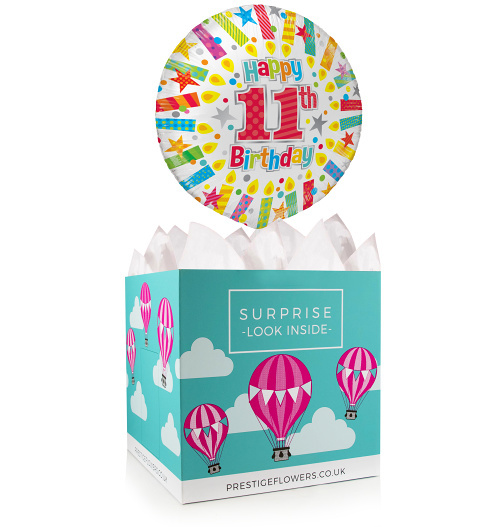 This 18-inch helium balloon and gift box pair are perfect for celebrating their 11th birthday. Perfect for boys and girls, you can also choose from various optional extras like chocolates, cake, or a cute and cuddly bear. We will also include your personal birthday wishes with this gift.